We offer a full range of both NHS and private treatments to suit your needs. 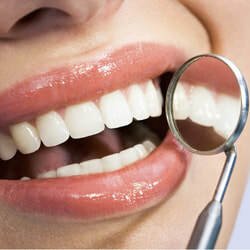 We are here to help and your family towards a healthy, happy and confident smile in the most comfortable way possible. ​If you would like any further information about what we do then please do not hesitate to contact us. Dental health check - examine all teeth and fillings, crowns bridges etc.